If you’re among the nearly one-third of Americans dealing with bad credit, then you may have simply accepted that you aren’t going to be able to qualify for various types of loans. But while it is increasingly difficult to qualify for loans the lower your credit score dips, it’s not altogether impossible. Even for those with very bad credit — a score of 600 and below — there are still options when it comes to borrowing money. Whether or not you should use these options ultimately comes down to weighing whether or not the higher interest rate or other associated costs are worth it. But if you’re looking to improve your credit score, there’s really no way of doing so without securing a loan or credit card. By making timely payments on any loan secured by a bank or other financial institution you can also make some progress toward repairing your credit. Here are 10 loan options available to those with poor credit. This isn’t the best option, but sometimes it’s the only one available. While these loans are easier to get, beware not to get in a cycle of bad debt by defaulting on an unmanageable payment due to a higher interest rate. Make sure the need outweighs the risk and that you have a plan for making payments on time and in full. A home equity line of credit, or HELOC is a good option for those with poor credit that own their home. Of course, your home must have some equity in it in order to borrow against the equity, but overall the qualification process is less rigorous. You will need a loan-to-value (LTV) ratio of about 80 percent to qualify for a HELOC, which is actually on par with the qualifying terms even for those with good credit. Interest rates on HELOCs tend to run a little higher than a traditional refinance loan, but they can still be less than those on other loans. Being a credit union member has many perks, not the least of which are more favorable loan terms and interest rates than traditional banks. If you belong to a credit union then you know that credit standards can be a bit more relaxed on loans. Credit unions are able to offer loans and other financial services at a cheaper rate than their bank counterparts because they are not-for-profit entities. Many credit unions offer unsecured loans for people with bad credit. Finding someone with good credit that is willing to cosign for a loan is a good option to help secure a loan with a lower interest rate. A friend or family member that can be the difference in you getting a loan despite a poor credit history. Just remember that if you fail to pay back your debt, your friend or loved one will be responsible for the debt, and your actions will affect both the credit scores of you and your cosigner. Along the same lines as a cosigner, if you have a friend or family member that you can come to a loan agreement with, this can be a good option — albeit uncomfortable to request. Your bad credit won’t be an issue because you can eliminate the need for bank approval and you can negotiate agreeable and reasonable interest on the loan. Of course, a personal loan will do nothing to improve or damage your credit, but if you default on the loan you will most certainly damage the personal relationship. If you choose this option it’s imperative to draft an agreement that clearly spells out the terms of the loan, including the amount of interest to be charged, the number and amount of each payment and the duration of the loan. Peer-to-peer, or P2P loans, are a newer option and offer those with bad credit a way to borrow without using a traditional bank or credit union. These loans are made by individuals and investors. People with extra money offer to act as a lender to other individuals or businesses in need of cash. A P2P service then matches lenders and borrowers. 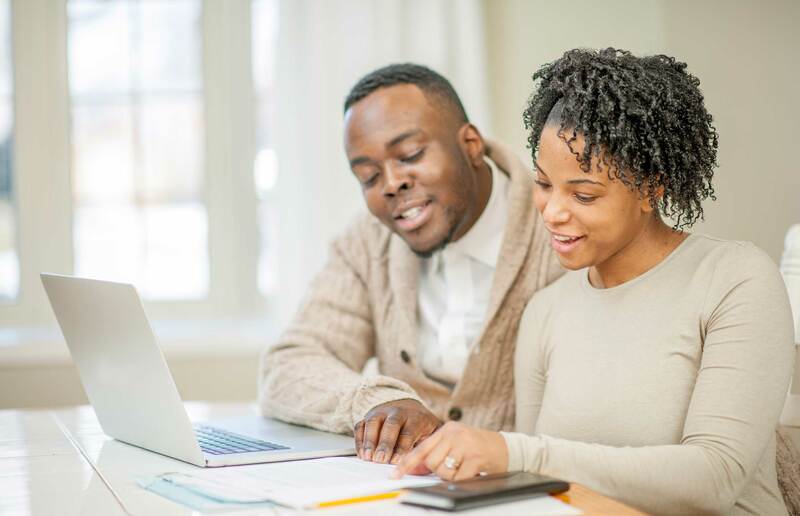 For those with good credit, P2P loan rates can be very low, and even with poor credit, borrowers can get an affordable loan with these lenders. Much like a HELOC, you will need to have something to offer as collateral for a secured loan. By offering up your home, vehicle or something else of value, it can be easier to secure loan with bad credit. Interest rates are typically lower on secured loans, although the repayment period can be longer. Payday loans allow you to write a check for the amount you wish to borrow, plus a set fee. The lender will hold the check until your next payday when the loan typically comes due. These loans can end up costing you a lot more than a traditional loan, however. Not only are interest rates high, but if you can’t repay them on the set due date (your payday) extra fees can be added. Title loans allow you to borrow up to the appraised value of your car in exchange for turning your ownership title over to the loan company. Owning your car outright is usually required in order to be eligible for this type of loan and loan terms are typically 30 days or less. This should always be a last resort because of the high tax and early withdrawal penalties associated. However, if you have exhausted all of your other options and you have a 401(k) or other account, it may be necessary to borrow against it. Make sure to take a loan vs. a straight distribution to mitigate the taxes and penalties. One pro of borrowing against a 401(k) is that you will be paying the interest back to yourself.